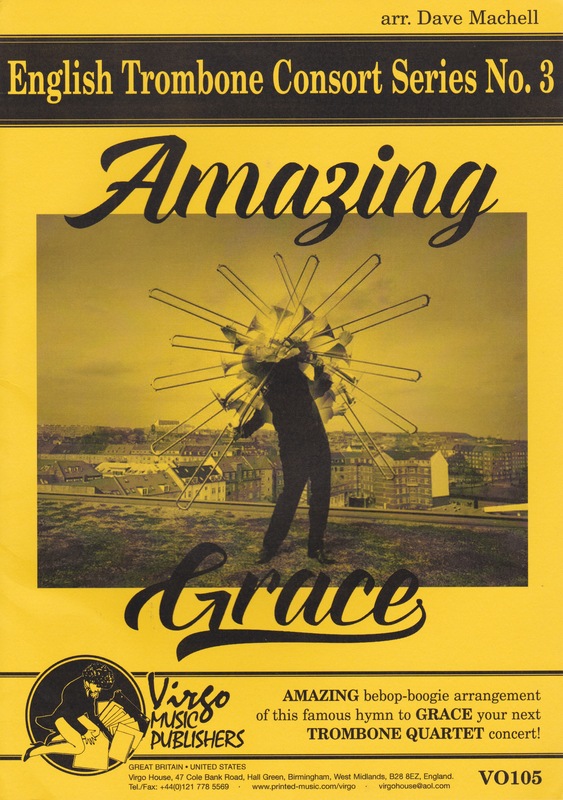 Amazing Grace was written in 1772 and premiered on New Year’s Day of 1773. Since then, there have been countless arrangements performed by numerous vocal and instrumental groups. David Machell has arranged Amazing Grace for Ken Shifrin and the English Trombone Consort. Based in Nottingham, England, Mr. Machell is a former Cambridge Choral Scholar and has authored many successful choral and instrumental compositions and arrangements. His works can be found through publishers such as Virgo Music Publishers and Cherry Classics Music, just to a name a few. Formed in July 2014, the English Trombone Consort is a professional trombone quartet from the UK that consists of Ken Shifrin, Adrian Taylor, Martha Ann Brookes, and Bob Green. They maintain a regular performance schedule and released their first CD in December 2016, Myths, Legends. Machell's arrangement features a clever theme and variations on the hymn Amazing Grace. The opening of the quartet is the traditional hymn acting as a theme and is presented in a “laid back” tempo. The variations are written through tempo and style changes; from boogie, molto Fats Dominoso and Breakneck boogie un poco Elvis, to Crazy Bebop. All four parts incorporate singing; the first part features several vocal moments throughout the piece. During its initial presentation the first part calls for singing the hymn traditionally while the other parts accompany. The breakneck boogie un poco Elvis tempo where the dotted quarter note equals 138 is the other section that features an optional singing part for the first trombone. All parts are in bass clef and their range goes as low as pedal FF in the fourth part to a high c2 in the first part, with an optional 8va passage climbing to high e-flat2. Amazing Grace can add something interesting on quartet recitals as a as a non-traditional chamber arrangement of the well-known hymn.